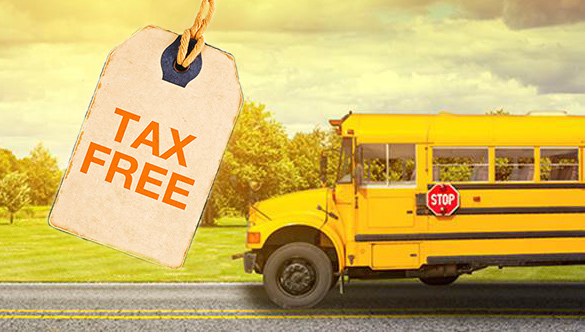 With the start of the school year right around the corner, I wanted to remind you to take advantage of the upcoming “Tax Free Week” which runs from Sunday, August 19th until Saturday, August 25th. This week-long event exempts certain clothing and footwear costing less than $100 per item from Connecticut’s 6.35% sales tax. Since sales tax is calculated after all coupons or discounts are applied, if the final price is less than $100, the sale is exempt from taxes. Clothing and footwear under $100 put on layaway are also tax-free. Tax Free Week, which runs from the third Sunday in August until the following Saturday, was first enacted in 2000. It applies to most clothing and footwear purchases intended for standard everyday use. Clothing or footwear specifically designed for athletic activities: Football cleats, boots for fishing, hiking, skiing,wet suits, helmets, headbands, etc. Accessories: Jewelry, handbags, luggage, umbrellas, wallets, and watches. Ask your local clothing and footwear retailers or visit The Department of Revenue Services website here for a full list of qualifying and non-qualifying items.